Australia's limited-overs captain Aaron Finch is willing to demote himself to aid Australia's title defence at the ICC Men's Cricket World Cup in England and Wales later this year. Finch and Usman Khawaja have had success as a pair at the top of the order recently, with partnerships of 83, 193 and 76 in the India series. They are also expected to open together in the five-match one-day international series against Pakistan, starting in Sharjah on Friday, 22 March. Finch has opened for Australia in 98 of his 100 ODI innings. That includes a successful partnership with David Warner in the 2015 World Cup, which Australia won after defeating New Zealand in the final in Melbourne. Finch has struggled for form recently. In eight innings this year, he has scored only 183 runs at an average of 22.87. He partly addressed those concerns in the series against India, when he struck 93 in the third ODI in Ranchi. However, with Khawaja in terrific form - he was the highest run-scorer in the India series, with two centuries and two fifties - and Warner's impending return, Finch's position at the top isn't secure. "If that means me batting at six, I'll comfortably do that. If it's at the top, three or four - it doesn't matter," he said. "Personal results aren't what this side is about. I think that's what has made our improvement as dramatic and quick as it has been. If you go in just solely focused on scoring a hundred or thinking, 'if I bat at five, I'm not going to get a hundred, I don't get enough opportunity', that's not what is best." "Go out and perform" – Nathan Coulter-Nile knows one sure-shot way of getting himself in Australia's #CWC19 squad. While the returns of Warner and Steve Smith add to Australia's selection headaches ahead of the World Cup, Finch is expected to lead them at the marquee event. 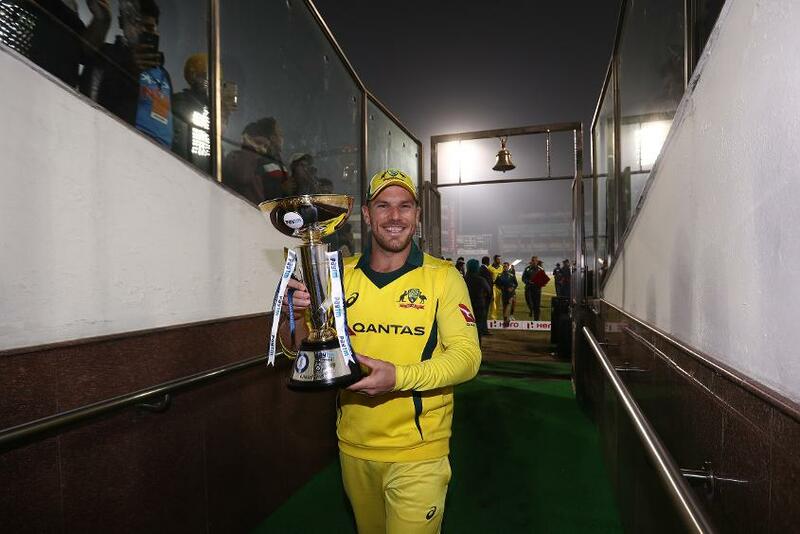 Having led Australia to a famous series win in India, Finch took heart from the success and believed he has the game to work past his recent failings. “Some people would have taken a bit more notice (of Australia) over the last couple of weeks,” he said. "I still feel really good with my game ... my rhythm is there. There’s probably been some times where you start doubting your technique. For me, it’s about going back to what’s worked for me in the past."